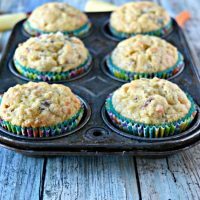 Made with Cal-Organic Farms rainbow carrots and Dixie Crystals sugar, these Carrot Cake Muffins are light on calories, but still moist and delicious. 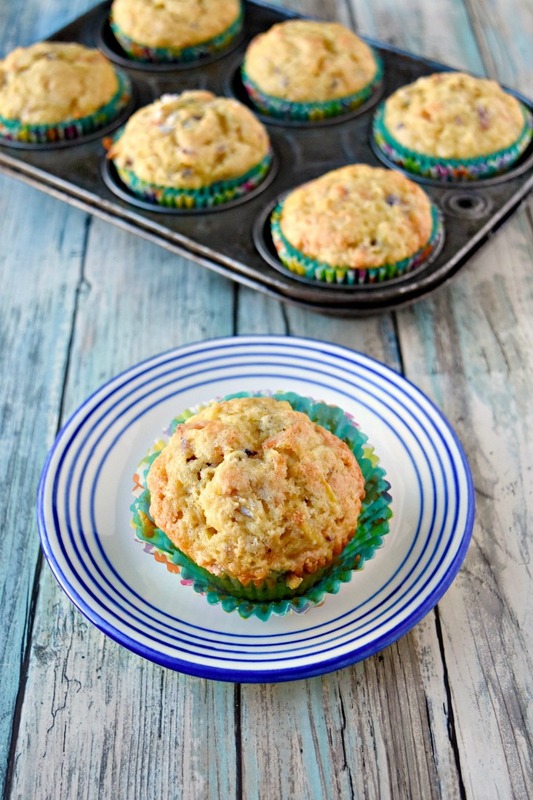 They’re packed with rum soaked raisins, freshly ground spices, and sweet carrots. Perfect for a Mother’s Day brunch. I can’t believe it’s time for #BrunchWeek again! It seems like time has flown since last year’s event. If you’re not sure what #BrunchWeek is then let me explain it to ya! It’s a group of bloggers who have gotten together to share brunch worthy recipes the week before Mother’s Day. It’s hosted by Terri from Love and Confections and myself. I only do part of the work. The grunt stuff just to pitch in and help Terri out. It’s A LOT of work to manage events like this so if I can help in any way, I do. I update HTML code, which is that list of all the recipes at the end of everyone’s posts. And this year I’m going to help gather social media stats for the sponsors. I mean, it has to be worth their while to send bloggers products to cook with and to offer up some for a giveaway. The metrics of it, if you will. That’s the part I really want to learn about; the metrics of an event and the social reach of the event. Anyway, I think this is the third year I’ve participated in #BrunchWeek? Let me check…Yes! I started participating in 2016. I’m not sure how long the event has been running but I’m always happy to work with Terri every year on this fun event. So, did you catch that part where I talked about a giveaway? The list of all the prize packages and the Rafflecopter is at the bottom of this post. Feel free to enter every day if that’s an option. I’m sure there’s a tweet per day option, but I haven’t checked. In any event, this is not a giveaway you want to miss. I’m still not quite sure why Mother’s Day is synonymous with brunch besides the fact that women of the family are typically the cooks. Since this is Mother’s Day, it’s a way to give Mom a break from the kitchen. I don’t buy that, but whatever works, I guess. I just love all the food that’s associated with brunch. You can have roast beef and waffles like my same-day mock liege waffles. There’s pastries galore and don’t forget the mimosas or bloody Mary’s! I mean, what other holiday, outside of St. Patrick’s Day, can you drink before 11am? I can’t think of any, at least not in this country. Then there’s dishes like eggs benedict and crepes that most wouldn’t even attempt to make at home. I have made both. My version of a benedict has Cheddar French Toast with Crab Hollandaise. I did top them with poached eggs, for the record. Of course there’s the biscuits and gravy, which I turned into a biscuits and gravy bubble up I made with turkey sausage, mind you! It was delicious and easy on the hips. There’s no reason why brunch food has to be full of calories and fat. You can easily cook a delicious brunch at home for mom. 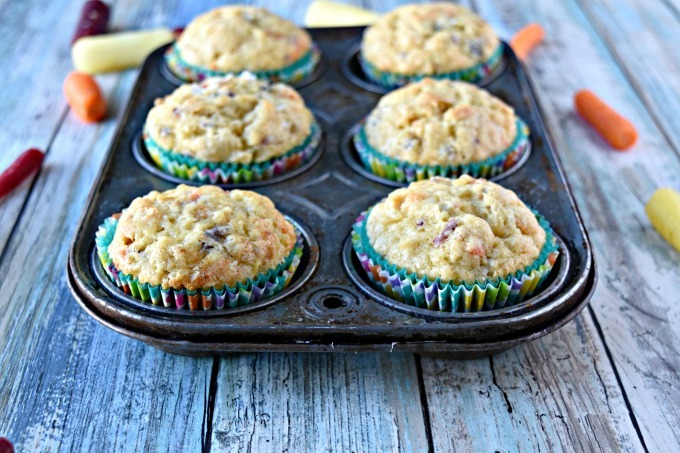 Take these carrot cake muffins for instance. There’s very little oil in them. I didn’t use oil at all. I used butter spray, but that’s because we eat a low fat in order to keep the hubs’ cholesterol and triglycerides down. That’s insanely high so I try to cut the fat as much as I can for his health. Anyway, these carrot cake muffins are super moist and delicious. They have healthy Greek yogurt in them. 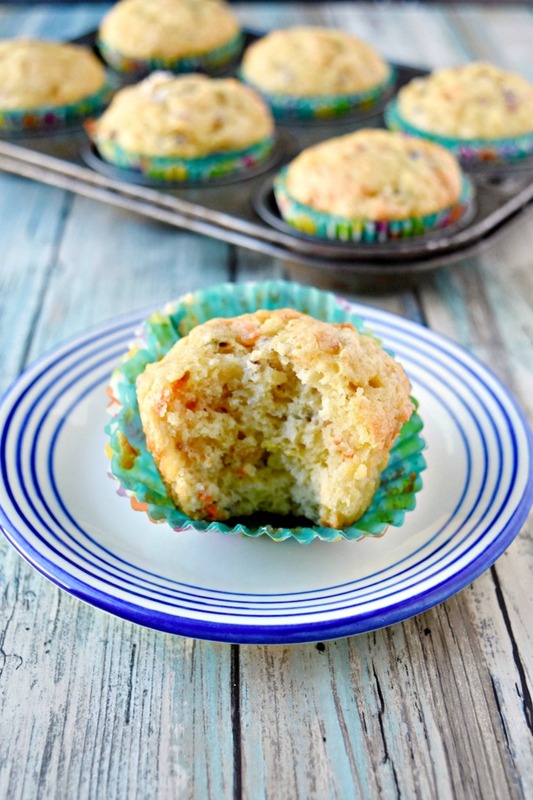 You can easily cut the sugar for less sweet muffin or use Dixie Crystal stevia product. They have 1 1/2 cups of delicious shredded Cal-Organic Farms rainbow carrots in them. Seriously, how fun do those carrots look? I love the rainbow carrot blend. 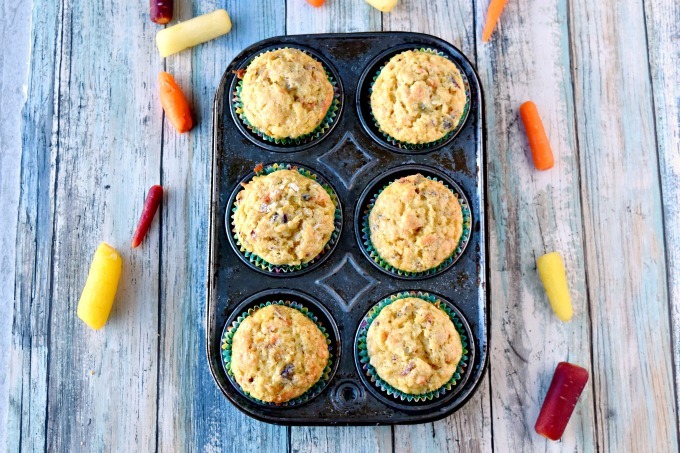 All your carrot recipes are instantly more fun! I bet you’d get your kids to eat their carrots if you served these up for dinner. Roasted, sautéed, in salad; you name it! You can see all that color in the muffins, too. Even the hubs said they were good! I said, “Well, I could leave them here for you!” He said not all of them because, well, he’s not a huge fan of baked goods more than 2 days after they’ve been baked. I, on the hand, have no problem devouring them! See what I mean? There’s flecks of the purple, yellow, and orange in there. And it’s chunky! So, you know it’s packed with delicious goodness. 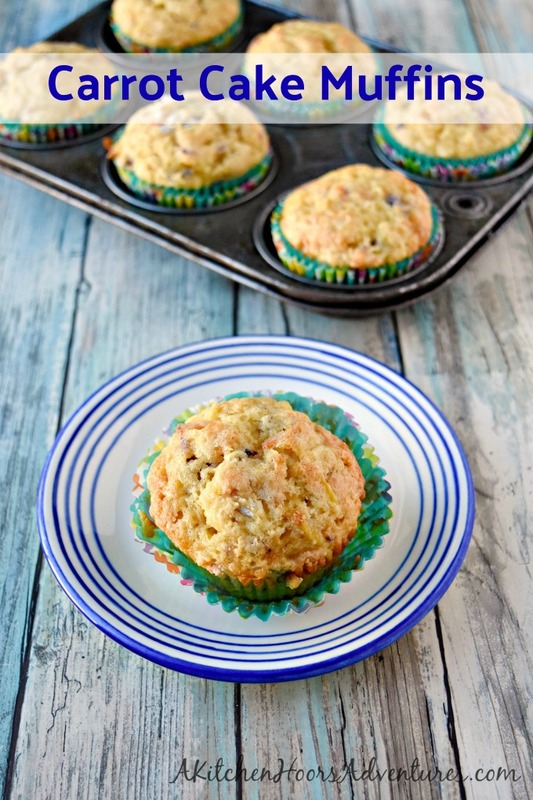 These muffins are perfect for Mother’s Day Brunch! She can eat them without any guilt! Perfect Mother’s Day gift. What’s your first stop on the brunch buffet? Or your favorite off the menu item for brunch? Make sure to follow Cal-Organics Farm on Facebook, Pinterest, and Instagram to see all their products and delicious recipes to use them. Also be sure to follow Dixie Crystals on Twitter, Facebook, Google +, Pinterest, Instagram, and YouTube for delicious recipes with their amazing sugar. Pour the rum over the raisins and stir to coat. Set aside. Combine the flour with the cinnamon, baking soda, baking powder, and salt. Stir with a whisk and set aside. Combine the sugar with the oil and yogurt. Beat with a hand mixture until light. Add the eggs, one at a time, stirring after each addition. Stir in the vanilla and the shredded carrots. Make a well in the center of the flour mixture. Pour the carrot mixture and raisin mixture into the well and stir until just combined. Allow to rest 5 minutes. Line 16 muffin cups with paper liners. Lightly spray with cooking spray before filling 2/3 fill with carrot mixture. Bake at 250 for 22 to 25 minutes or until a toothpick inserted in the center comes out clean. Allow to cool in pan 5 minutes then remove to wire rack to cool completely before serving. Store in an airtight container for up to one week. The #BrunchWeek giveaway is open to U.S. residents, age 18 & up. All entries for the winner are checked and verified. By entering you give the right to use your name and likeness. The number of entries received determines the odds of winning. Seven (7) winners will be selected. The prize packages will be sent directly from the giveaway sponsors. The #BrunchWeek Bloggers are not responsible for the fulfillment or delivery of the prize packages. Bloggers hosting this giveaway and their immediate family members in their household cannot enter or win the giveaway. No purchase necessary. Void where prohibited by law. This promotion is in no way sponsored, endorsed or administered by, or associated with Facebook, Instagram, Pinterest, Twitter or any other social channel mentioned in the #Brunchweek posts or entry. Muffins are always a hit at brunch. I am a carb fiend so having muffins makes me happy. I’m a total sucker for muffins, too. Blueberry or banana are my favorites. 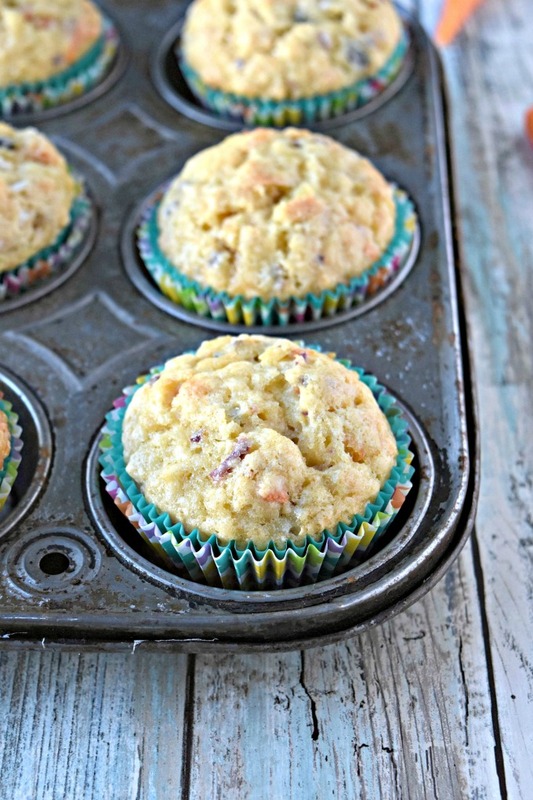 My husband loves carrot cake so I know he will love these muffins. I have carrot cake on the menu to make, now. It’s one of my favorites. 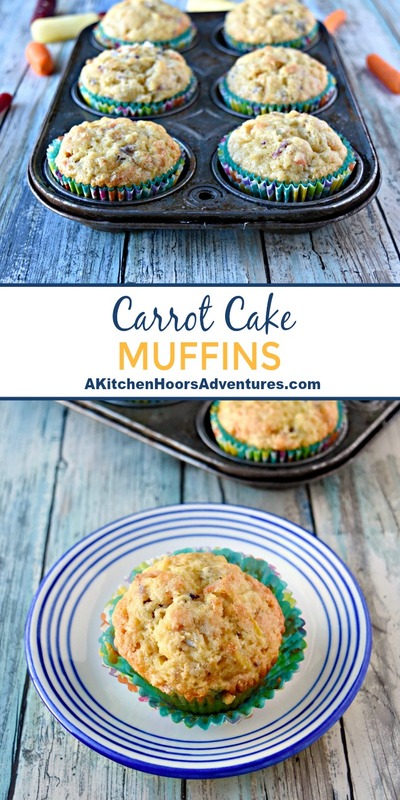 My mum used to make carrot muffins a little like these which I loved. Not with spiced rum, though, which sounds like a great addition! I wanted to kick them up for Brunch Week! Thanks for all your help with this event! 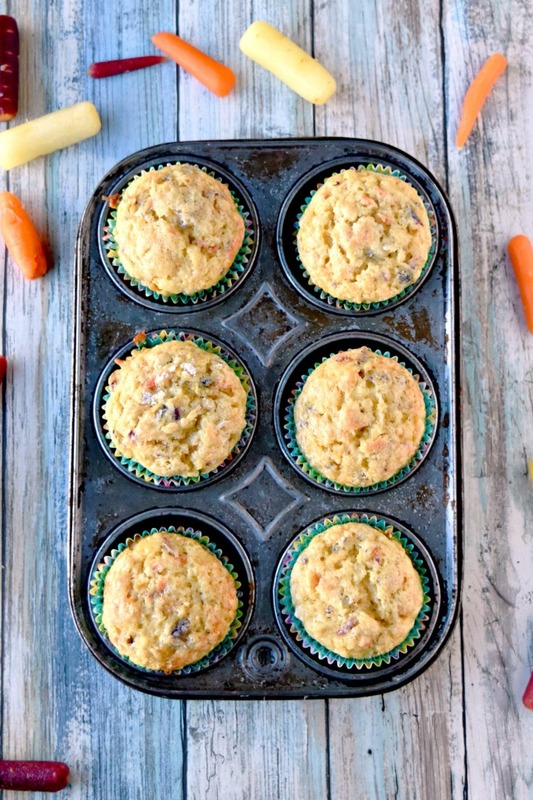 Your muffins are so pretty with the rainbow carrots—and since carrot cake is my favorite indulgence, I love the opportunity to have the same yummy flavors for breakfast! Any excuse to have carrot cake for breakfast is a good one to me! Love the addition of those rum-soaked raisins! Thank you!! I wanted to kick things up for Brunch Week.